Every story has a beginning, a journey, and an end. 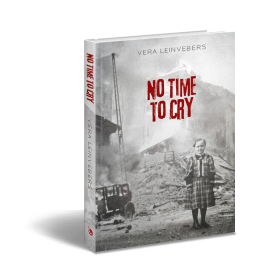 From author Vera Leinvebers – a Latvian who lived through the horrors of World War II – comes the story of a young girl called Lara. Her story begins in her beloved homeland of Latvia, just prior to the outbreak of World War II. Join Lara as a traveler on the path of her war-ravaged childhood, a path that clearly proves that no matter how much one might suffer, when the goal is to survive there is simply no time to cry.